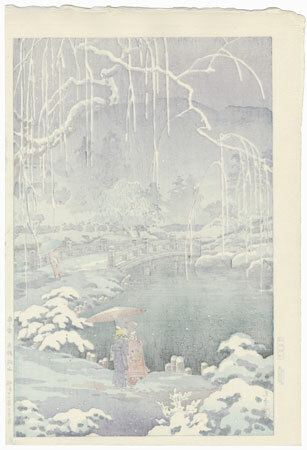 Comments - Gorgeous winter view of Maruyama Park in Kyoto, the trees and grounds covered with a soft blanket of snow. 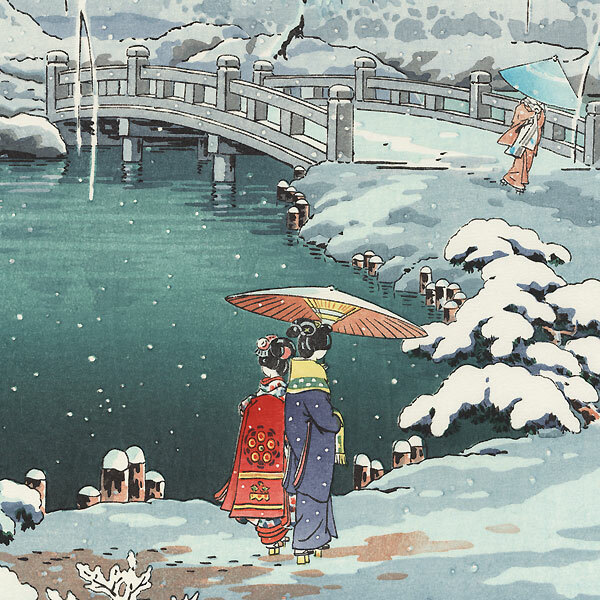 Two women share an umbrella in the foreground as another hurries across the bridge at right. 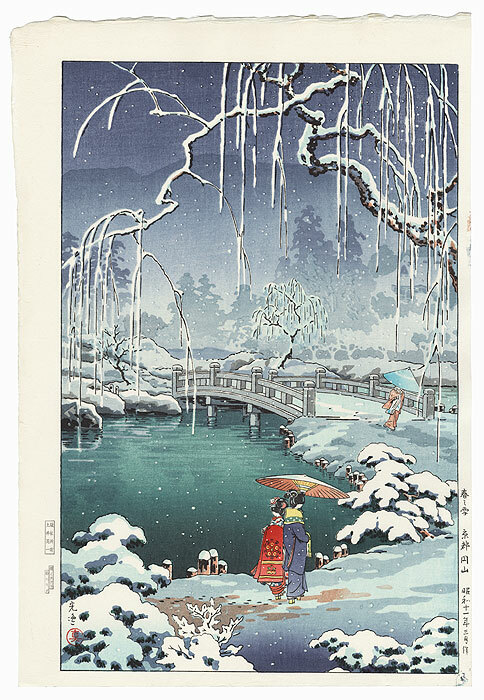 Snow falls gently and the graceful branches of a willow tree frame the scene overhead. Beautifully colored with soft gradations of blue violet and gray. A striking design, one of Koitsu's best.